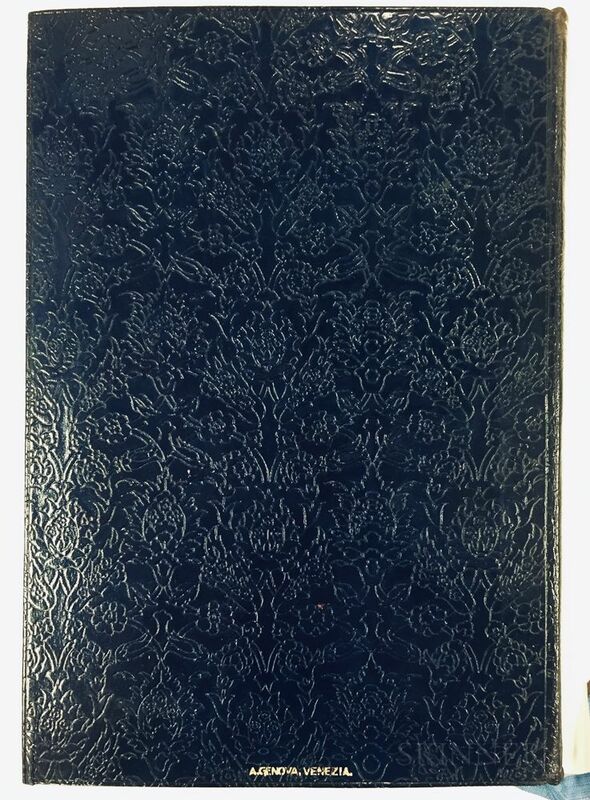 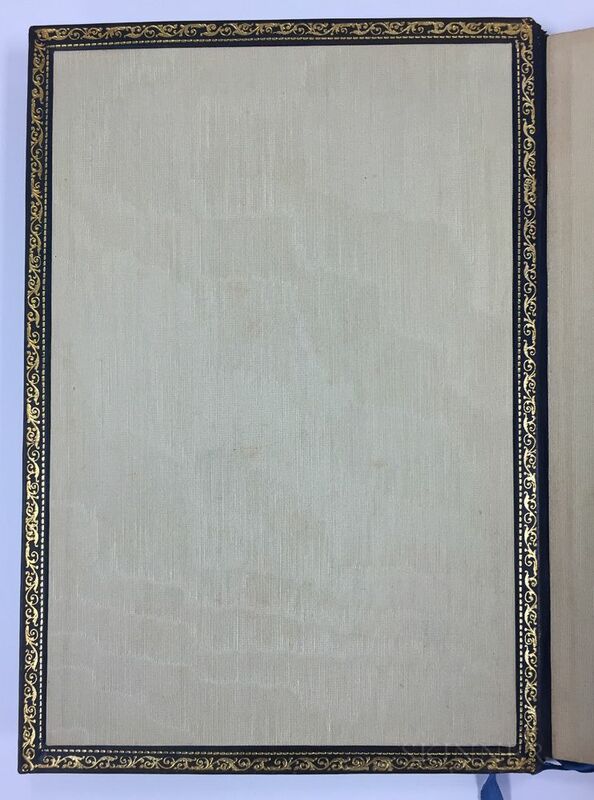 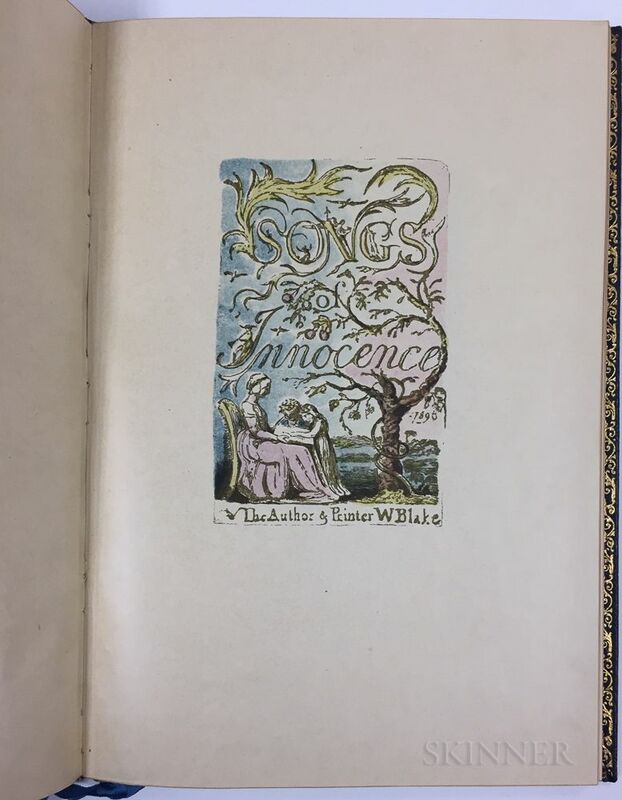 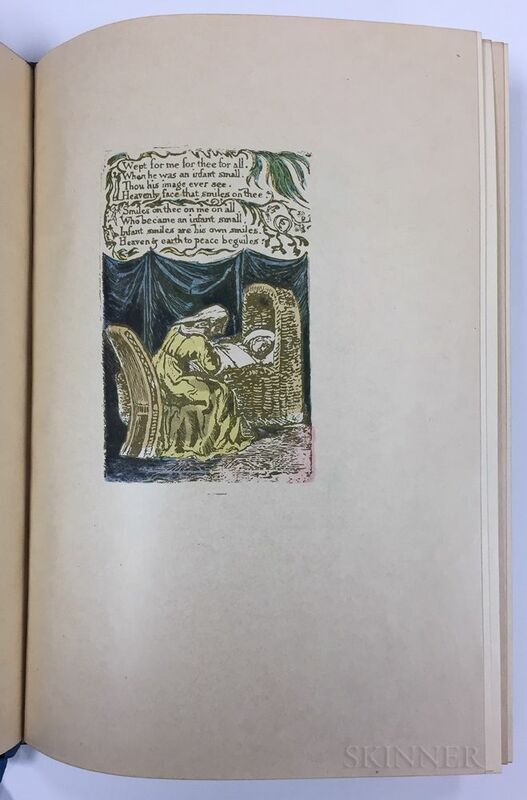 Blake, William (1757-1827) Songs of Innocence, in an Exhibition Binding by A. Genova of Venice. 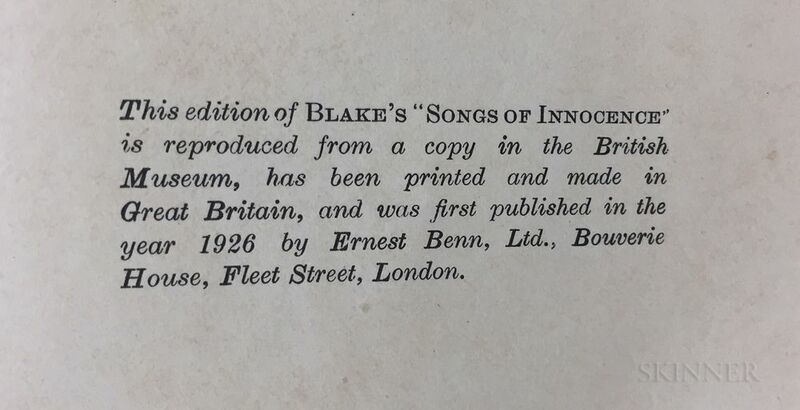 London: Ernest Benn, Bouverie House, 1926. 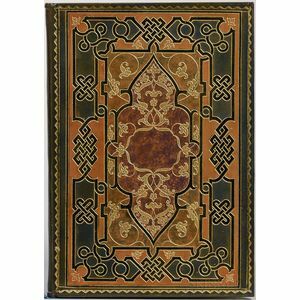 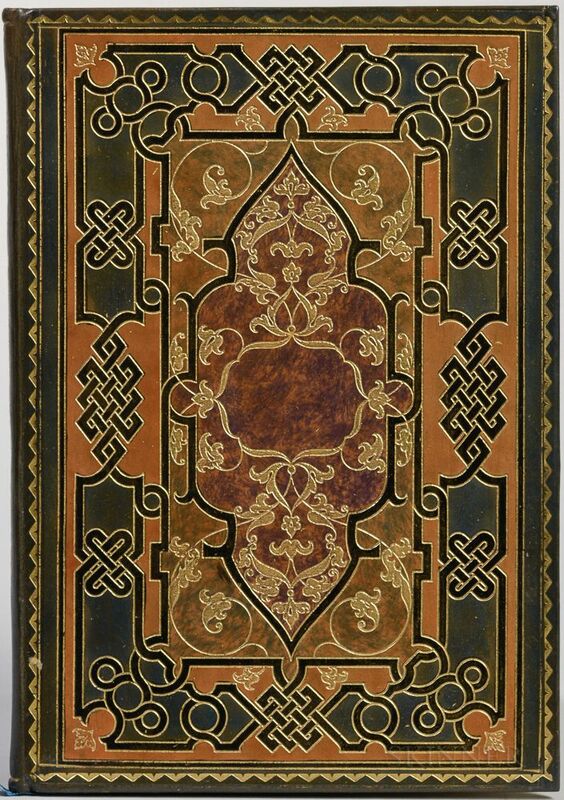 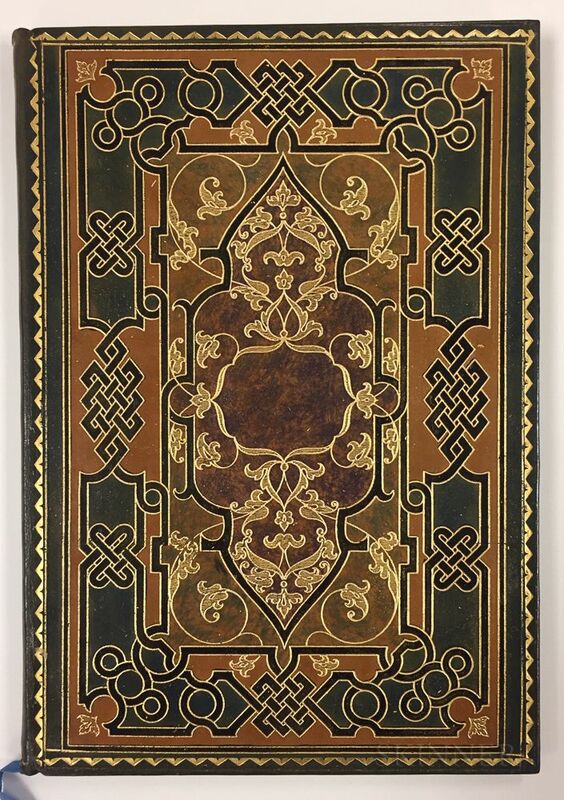 Small folio facsimile of the British Museum copy printed in color, in a full leather gilt-tooled binding, fanfare style, with onlays and ornate knotwork tooling, on front board, verso tooled in blind in an allover intertwined botanical pattern and signed, "A. Genova, Venezia" in gilt at the foot of the back board, ivory watered silk pastedowns and fly leaves, in the original slipcase, very good, 9 1/2 x 6 1/2 in.